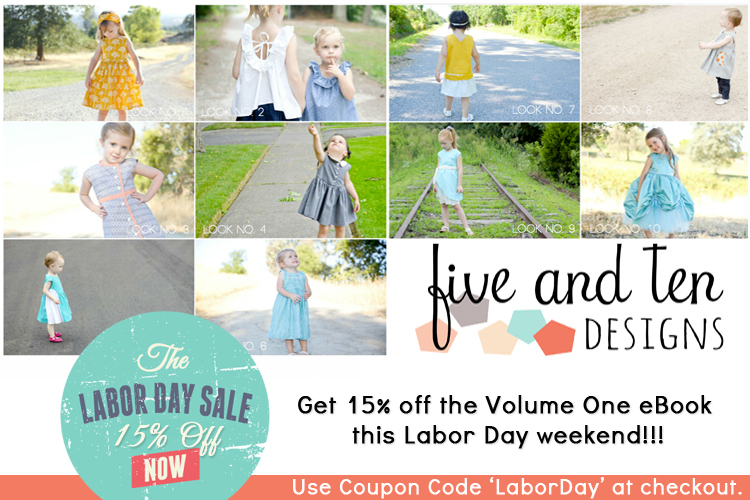 Gorgeous versions of the looks in Volume One by Five and Ten Designs have been appearing everywhere! Here's a round-up of some of the variations and reviews by a super talented group of seamstresses. Sanae - Illustrations, Stitches, etc. To celebrate this holiday weekend, we're having a sale! Use coupon code: LABORDAY and enjoy! 1 comment on "Five and Ten Designs - Volume One Roundup and Sale"